Do you know the signs of someone who’s not in sync with their intuition? Are you, or is someone you know too focused on other people’s business? Do you know someone who’s always pushing their unsolicited advice on everyone? Or, a person who must always brag about what they did for others, or how they know better than anyone else? Or a person who constantly snipes at and gossips about people behind their backs? These are classic signs of a person who is not in touch with their own inner guidance, or intuition. They do this to distract them from their own low self-esteem, lack of accomplishment or boredom with their own lives. When we gossip about, or pay more attention to the problems of others, or focus on people who are in more unfortunate circumstances and try to “fix” them, it’s to distract us from looking at our own lives. When you’re in touch with your intuition, which is really your own inner guidance system, you focus on what’s needed to make your own life a success, rather than on fixing others. You’re open to dealing with your own unconscious blockages, or personality flaws or behaviors that need attention and, most importantly rather than make excuses, you take action. The person who distracts themselves with others’ lives has put up a wall to block their intuition from coming through. Usually this person feels very inadequate and has many fears. Facing themselves and dealing with their own problems is the scariest prospect of all. It makes them feel better about themselves to be so “helpful” to others. The “busyness” keeps them from connecting to their intuition and facing their problems. A while ago I gave a reading to a woman who was having trouble with a neighbor. The neighbor was spreading rumors about this woman for no apparent reason. The neighbor was in an unhappy marriage. It appeared that the neighbor was deflecting attention from her own problems by spreading rumors about my client. Of course, not everyone who’s unhappy with their lives goes around starting rumors about others. The fact is though, when we turn our attention outward to this obsessive degree, we do it so that we will no longer “hear” what our inner guidance is trying to tell us. We don’t want to “know” what we probably already know at a gut level. In the case of the gossipy neighbor, she might not want to “know” that her marriage is in trouble. If she starts tuning back into herself she might hear this truth – and not be able to or want to deal with it. Whether it’s us, or people we know who are distracting themselves with other people’s lives – the only solution is to dig deep and face the fears we’ve buried . The confidence that comes from dealing with and facing our buried problems bolsters self-esteem and sets the groundwork for overcoming other challenges. 1. Give yourself a directive to have dream that will show you what’s holding you back. Set an intention every evening to have this dream until you do. Make sure to record it immediately. 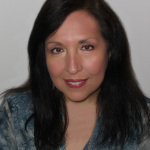 See what unconscious blockages spring to mind when looking over the dream. Always go with your first impression. 2. Find a quiet place in your home where you can focus on your dream. Close your eyes for 5 to 15 minutes and ask your intuition to give you a solution as to how to overcome the blockage revealed in your dream. 3. While in this meditative state take out your journal and answer this question: Why am I afraid to concentrate on me? Begin writing and don’t sensor yourself. The biggest obstacle to jump-starting intuition is not listening to your own truth. When you stifle who you are you shut down your intuition. Have you come across people like this? Have you ever focused on others to avoid dealing with your own issues? What did you do to overcome this? If you enjoyed this article please share it on FB, Twitter and particularly Google+1. Thank you for your showing your support with social media. I truly appreciate it. P.S. 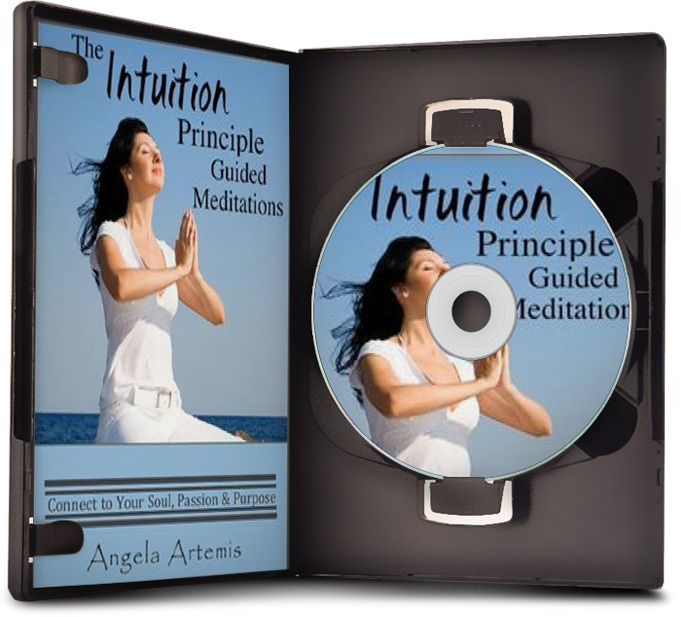 To learn how to develop your intuition pick up any of my books – click here. Distractions, sometimes I need them to be away from myself. If you have a negative voice banging against your soul, your chest, your brain…then I think it’s time to find positive distractions. I love concentrating on me, however, there has to be a balance between ‘me’ and ‘others.’ If you do not worry about others, if you do not worry how someone else will be affected about your actions…then what’s the point of living? I say, silence yourself, by yourself…once in a while. But, don’t forget to worry about the lives of others – at the same time. For example, if I didn’t worry about you and what you did – or even talked about you – I wouldn’t be here – commenting. We do need to care about others. The article is not about becoming a selfish individual but about not using “taking care of others” as an excuse to not look at our selves. I would never advocate living a completely self-centered life. We do need to love and care about the people in our lives. As you pointed out, What’s the point of living if we don’t have loving relationships? It’s a beautiful and empowering thing to happen when we can see others in the way you describe – that they are blocked from their intuition. It helps not get so frustrated by them, and it provides an understanding. Your tip on “directing your dreams” 🙂 I’ve begun playing with this again and recently sent someone over to read your posts on dreams since you explain it far better than I could. I’ve had handful of successes with the ‘directing dreams’ challenge and it’s truly fascinating. I’m so excited to hear that your working with your dreams. Once you program your mind to deliver a dream to you – you’ll be addicted to this form of communication – I swear by it! It’s like getting a present every morning when you wake up. I enjoyed this article tremendously. Your statement “People who aren’t in sync with their intuition focus on other people’s lives” made me stop and recall if I know of anyone who’s like this. I find that it’s certainly true of those who feel inadequate about themselves. To get connected intuitively is to learn about getting back with ourselves is great advice. More often than not, we get so caught up with all that noise that we forget to listen to our own hearts. We end up more confused than ever and find it hard to make clear decisions. I guess the point is, if you’re too outwardly focused – you’re not in touch with your intuition because to hear it you have to be able to go within. When we’re too outwardly focused we do “get caught up with all that noise.” I agree – we end up more confused than ever. Thanks so much for coming by and commenting Evelyn. I used to want to fix my adult children. Sigh. I’m sooooo grateful I moved on years ago. Now when I’m with them I know immediately they’re mirroring what I need to take another look at concerning myself. I wish I would have learned that in Parenting 101! I love the “sigh.” lol. Yes, it’s hard to be a parent and to stop mothering. I’m sure it’s the most common reaction among parents. I think “mirroring” is something we all need to learn in Growing Up 101! I can relate to the “busyness” part of life as a way of not wanting to deal with problems. For me it wasn’t fear like I coudn’t move it was more like hesitation about not wanting to have to stop what I was doing in order to fix some areas of my life. I generally do not like gossip and avoid the gossipy types. And as you described them is how I view gossipy people as well. They are bored, stuck, and lacking any real focus in their lives. Yes, busyness is a great excuse for a lot of things, isn’t it? True, about the gossipy people. They are bored, stuck and lack any real focus. Yes, I had a whole office full of those people at my last job 🙂 Amazing how they congregate! At least from that one perspective, I am glad I am outta there. What an energy drain. Oh no, really? That must have been terrible for you. Yes, it must have been a huge energy drain for you. Glad you’re out of there too. 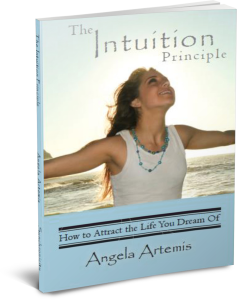 Angela: I love this post and I think it is so key to always be in sync with your intuition. When you notice that you aren’t, you definitely need to do whatever you can to re-sync. Those questions you suggested are really good ones. I can see how they would really clear away blocks. Thank you. When we start making a lot of wrong decisions or doing things to please others all the time we’ve also disconnected from our intuition. It’s time to get back on track. Great stuff, Angela!! I have learned to “keep my nose in my own pie” because focusing on what others are doing just mucks up my vibe. But I’ve never thought about how others are out of sync when they’re caught up in other people. You’re totally right, though. When you’re outwardly focused, you’re disconnected from that source energy that drives your intuition. I was just thinking of you yesterday. How are you? 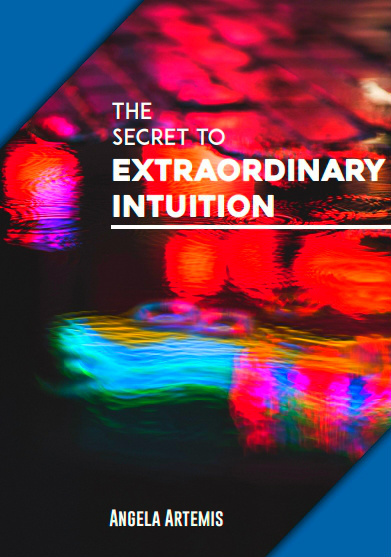 Yes, it is true – when we are mostly outwardly focused we cannot hear our intuition. It’s all about our ego at that point. Oh this is a rude reminder of many of my colleagues from a previous life that shall remain nameless. The reminders here are excellent that I never ever let myself fall into that trap. Thank you dearest Angela. You bring such amazing points to light, and all of us need to hear even the obvious sometimes. I’m so glad you enjoyed the post. Yes – let them remain nameless, for sure. It is pretty obvious but, we don’t often think about the fact that certain behaviors effectively “shut-off” our intuition. As an additional thought to the journal suggestion, sometimes I write with my nondominant hand. I definitely write in a different “voice” when I do this–much more intuitive. Just an idea. Thank you for the great suggestion. I often suggest using the non-dominant hand for getting in touch with the subconscious. It does bring a whole new side of things to our attention, doesn’t it?